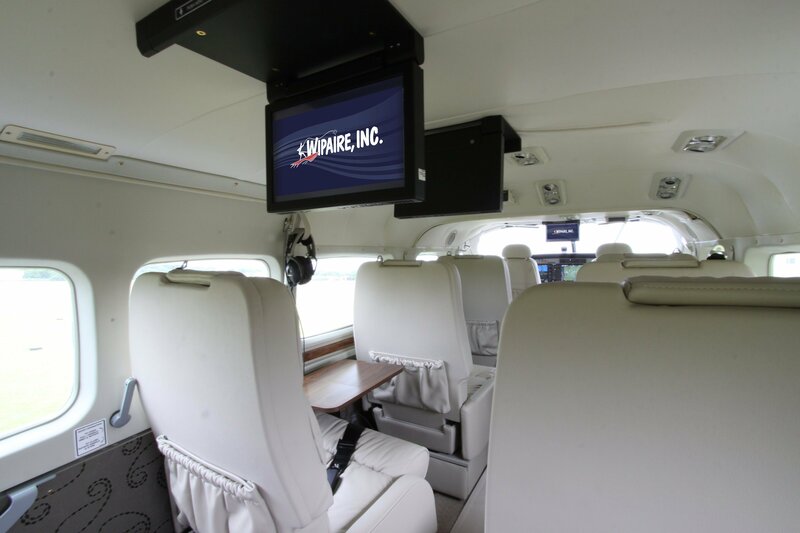 Aircraft Interiors by Wipaire | Wipaire, Inc. Please contact us today or request a quote for more information. 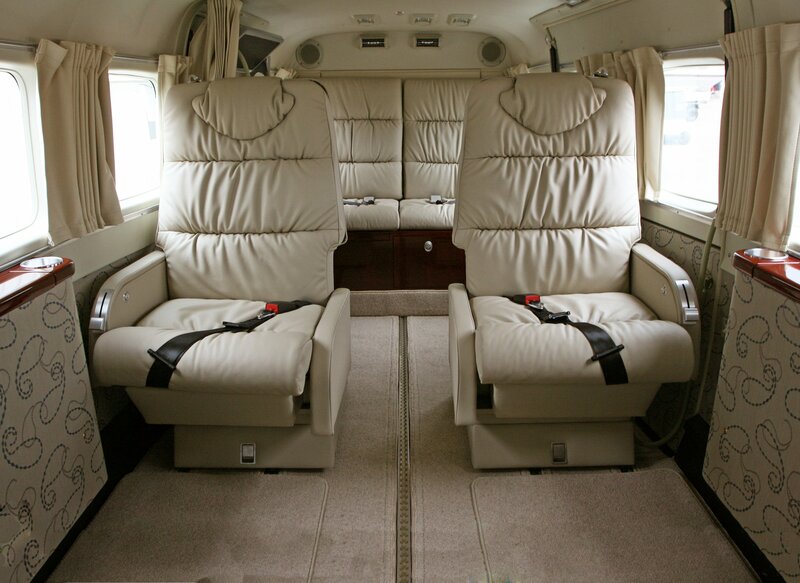 Wipaire’s aircraft interiors facility is able to do anything from small repairs to complete interior renovations for almost any kind of aircraft from a Piper Cub to small business jets. We pride ourselves on the high quality and the superior craftsmanship of our technicians as well as coordinating with other Wipaire services you are receiving to provide the most expedient and convenient service experience possible. Whether utility or luxury is the goal, we can help. Creating executive interiors or just adding a touch of home – we’ll work with you to formulate the interior that fits your needs. Installation available at our South St. Paul headquarters. 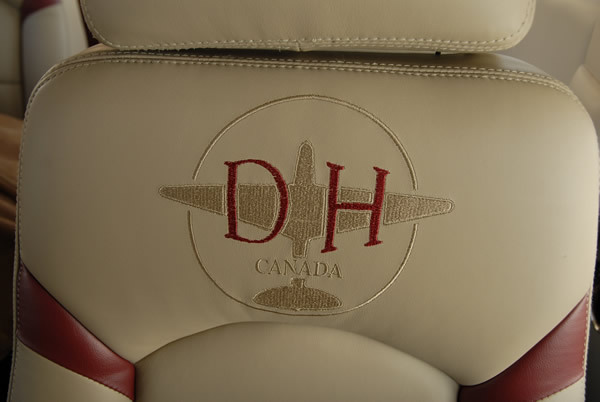 Our specialties include custom work of all kinds, including custom cabin layouts, fabrics, leathers, and even creating a special seat contour to match a customer’s back profile for optimum comfort. 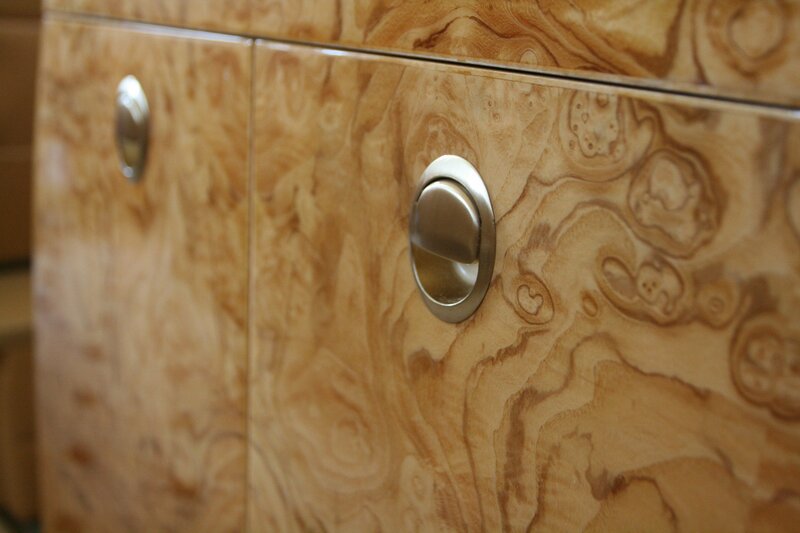 We work with each customer to determine what will match their style and needs. Visit our interior design center and sit down with our specialists and see, touch, and combine different samples to brainstorm ideas for your perfect interior. One of our happy customers commented that our team “did a phenomenal job of diagnosing what I wanted,” and “were able to transform the sketchy ideas I provided into a spectacular project. 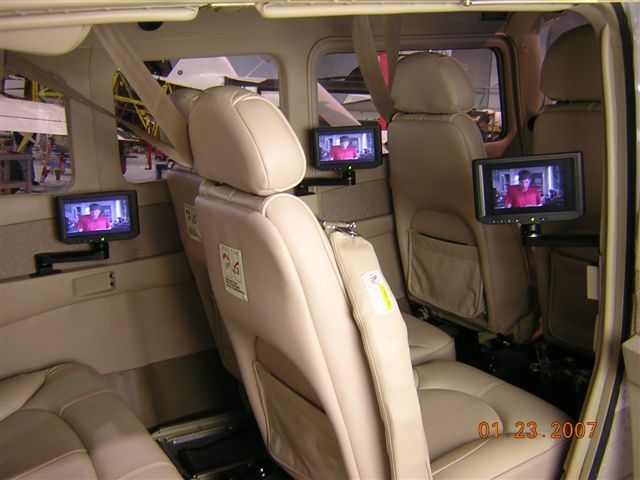 ” Click here to read about this custom Cessna 340 project in the Wipaire Window Newsletter. Introducing a new standard in comfort, luxury and utility. 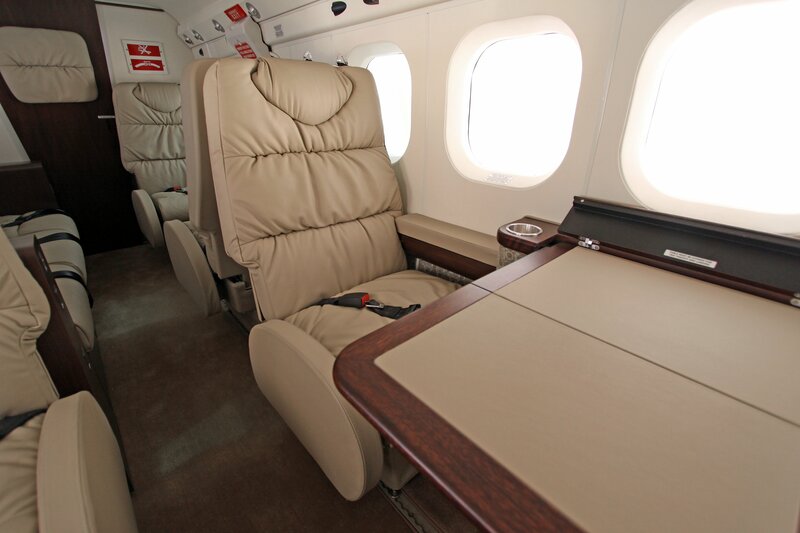 With an Aurora interior by Wipaire you can have all the comforts of a business jet. From the luxurious feel of supple leather to spacious seating arrangements, your passengers will feel pampered from the moment they step onto your Caravan. Whether conducting a business meeting en route to their destination or getting a head start on their relaxing vacation, your passengers will find the extra amenities indispensable. 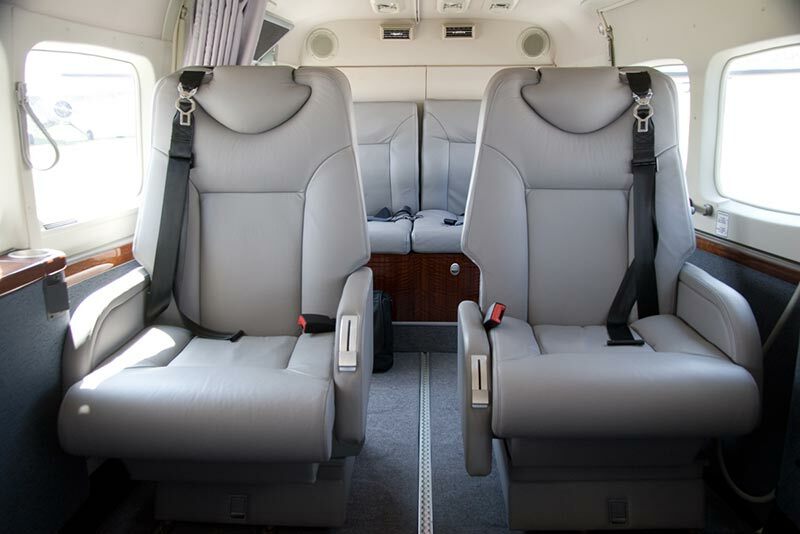 The Wipaire Executive Interior for the Twin Otter is available in many configurations to fit your needs and desires. We will work with you to arrange the interior to have the most advantages for you. 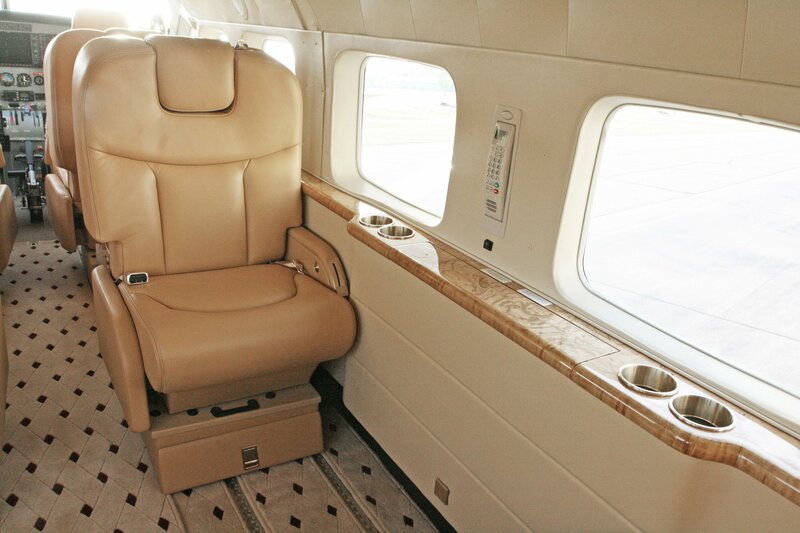 All Wipaire Executive Interiors feature top-grain leather seats, decorative lower sidewall fabric and a transitional sidewall trim with veneer accent. 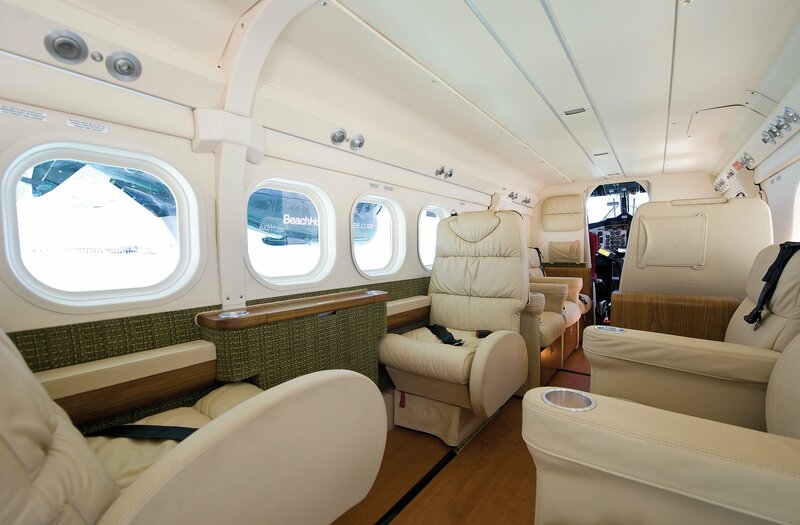 Rich, wood veneer cabinets, with optional high-gloss finish, store beverage centers, pilot gear, carry-on luggage and more.